The San Diego Seals scored the first two goals, but never led after the first quarter in a 14-6 loss to the Vancouver Warriors in a National Lacrosse League game Friday evening at Pechanga Arena San Diego. Seals defenseman Cam Holding scooped up the loose ball and scored nine seconds into the game. Dan Dawson gave the Seals a 2-0 lead 5:51 into the first quarter. The Seals (4-3) took a 3-1 lead on Jules Heninburg’s goal with 2:09 left in the 15-minute first quarter. Vancouver (3-6) scored the next six goals, with Keegan Bal scoring the final four. Seals forward Garrett Billings scored the final goal of the first half, cutting the deficit to 7-4. Dawson scored the first goal of the second half, but the Warriors scored the next seven for a 14-5 lead with 3:54 left to play. 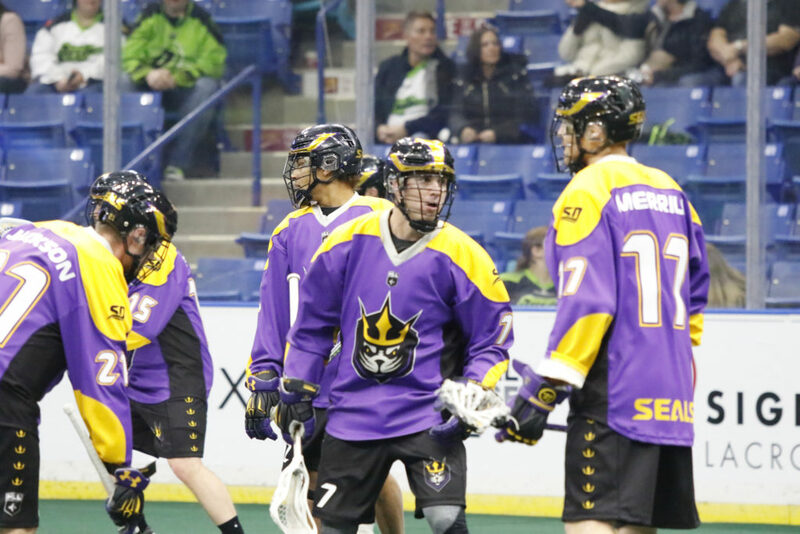 Austin Staats scored the Seals lone fourth-quarter goal. The Seals were outshot, 64-46, before a crowd announced at 8,706. Seals goaltender Frank Scigliano (4-3) made 43 saves and allowed 12 goals in the opening 52:58. Tyler Carlson made seven saves and allowed two goals in the final 7:02. “Our success from early on came from outworking teams,” Seals coach Patrick Merrill said. “We were grinding out and playing 60-minute games. The Seals will next play next Friday at Toronto.